There are some moments that will be an idelible part of this country's history. Unfortunately, those moments tend to be tragedies, and one of our greatest was the assassination of President Kennedy. Whether you are old enough to have it seared into memory or just learned about it later, that will foreve be a crippling blow that struck at the heart of our nation during a turbulent time. And while the country suffered openly, one person was forced to share her most personal grief with the world, and that was First Lady Jacqueline Kennedy. Jackie, another masterpiece political drama from Pablo Larrain, could easily be just another biopic. In someone else's hands, and with an actress other than Natalie Portman, it might have been. Together they paint a beautiful yet painful portrait of a grieving woman who must share that grief with the world. But through the sharing of that grief she also works, almost immediately following the tragedy, to begin establishing a legacy that will stand for generations. What's amazing about the film is how many biopic conventions it actually does follow, beginning with Jackie's interview with a TIME magazine reporter (Billy Crudup) in the weeks following her husband's death. What their revealing, often contentious conversations present is a woman who is grappling with her own identity. Being First Lady had been everything, and with it comes a certain expected persona the American people expect. At the same time, Jackie had to deal with the negative perception that she was flighty, a ditz who spent too much money and threw lavish parties. We see her grappling with that persona in flashback, during a televised tour of the White House. As she struggles to know when to smile and when to be poised, it's juxtaposed with the hardened but vulnerable woman she would be in the future. 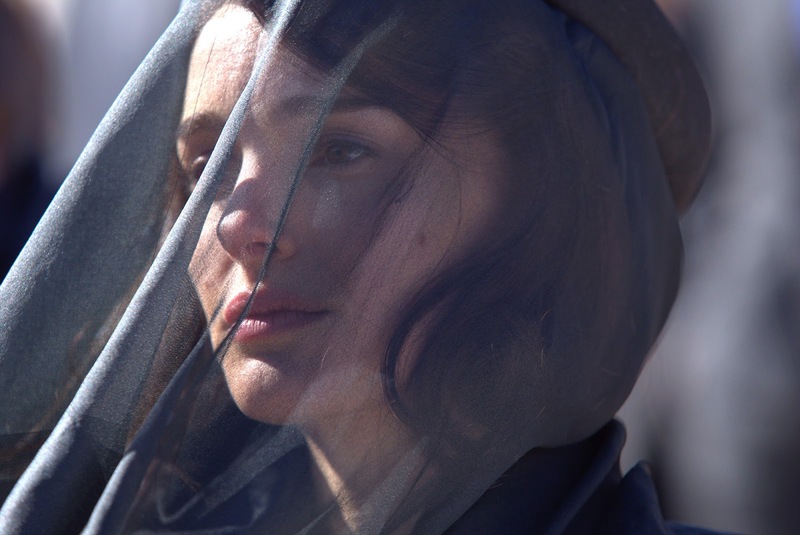 It's a film that isn't as interested in the assassination itself except in what it says about Jackie. Portman's performance is riveting from the moment she utters her first word. The mannerisms and breathy affectations are distracting at first, clearly she's trying to sound the way Jackie did, but within moments all of that just melts away. And Larrain is smart; he's not afraid to focus right in on her, to force us to accept her performance completely for what it is. Portman exudes a haunting, unearthly quality that is the stuff Best Actress nominees are made of. She is all but assured of being in the Oscar race again and probably has to be considered the frontrunner. Few will be asked upon to carry the emotional burden she has, as literally every single scene relies on her. If she were to fail, if her risky portrayal of an American icon like Jackie Kennedy were to be lacking in any way, the entire movie would collapse. She doesn't need to look like Jackie, in fact she only does in the most trivial sense, but none of that matters. The same goes for Peter Sarsgaard, who doesn't look at all like Bobby Kennedy other than his hairdo, but he still adds breadth and frailty to a man that history often portrays as impeccable. Speaking of impeccable, the flawless recreations of the White House and specific moments in Kennedy history add depth and authenticity. We would expect nothing less from Larrain and he delivers. Jackie is everything we expected it to be and more. It is both the Oscar bait drama we thought it would be and yet fuller, richer due to Larrain's direction and Portman's vivid, unforgettable performance. 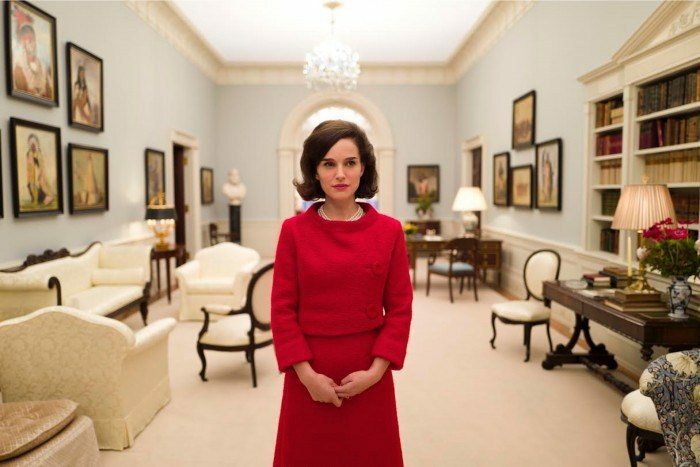 While most biopics are content to simply go over what we already know, Jackie builds upon what we don't already, becoming part of her legacy forever.